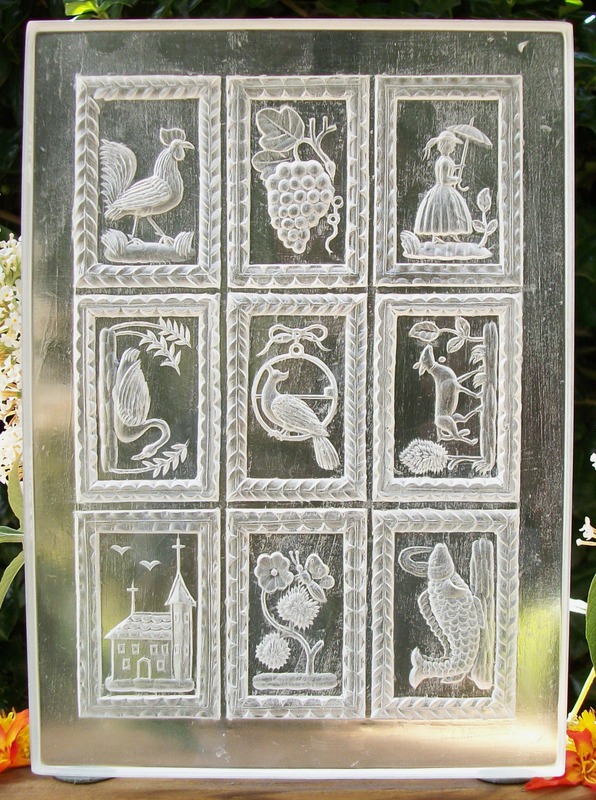 Welcome to The Springerle Baker’s on-line catalog for Molds added in 2016. 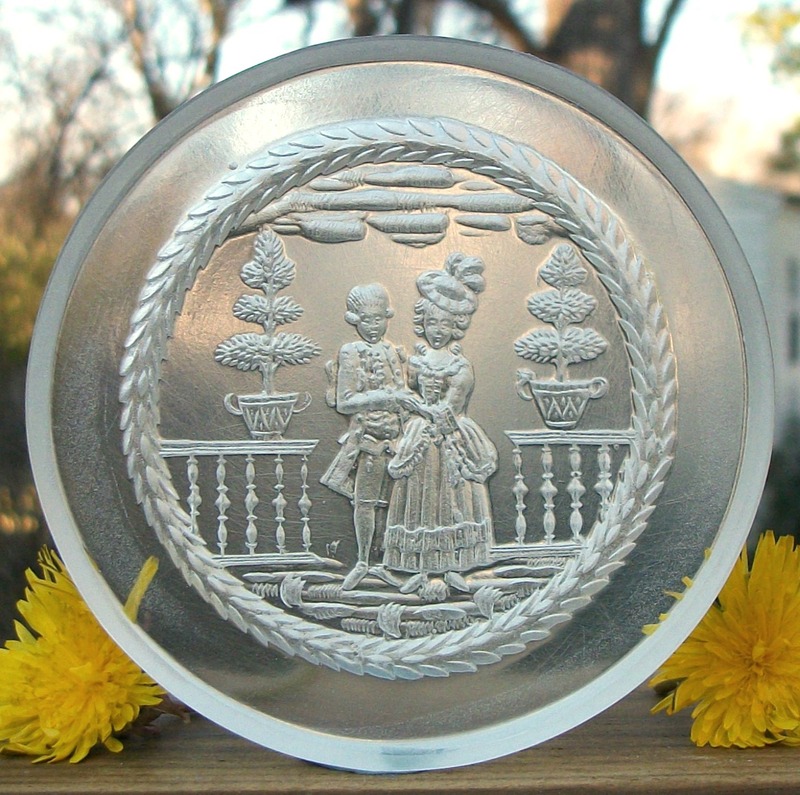 #1861 Heilbronn Couple on Veranda Mold – $34.88. 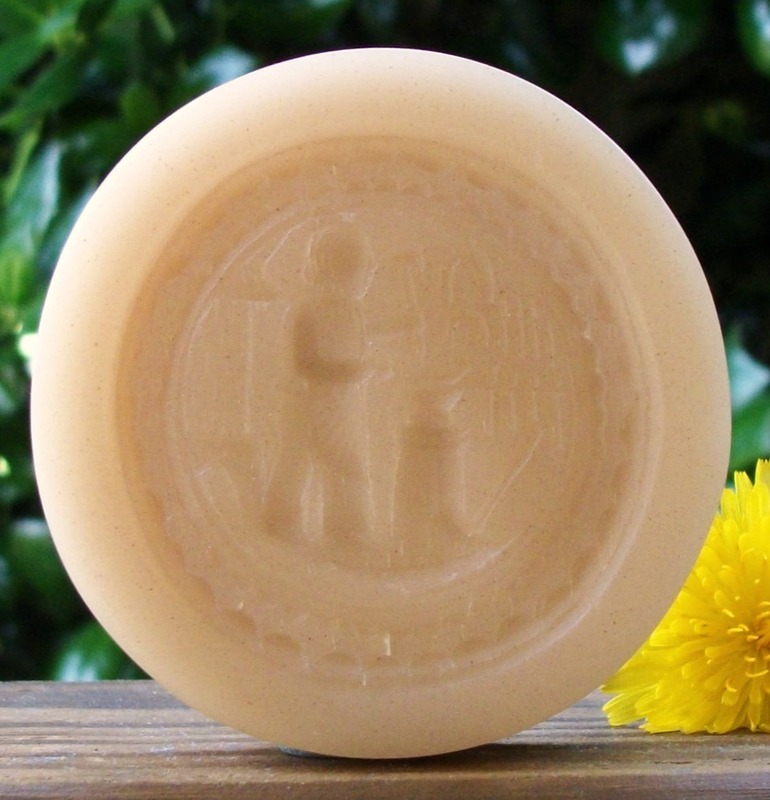 This mold measures about 3″ in diameter with the image area being about 2 1/4″ in diameter. The mold features a scene with a couple out on a veranda. You can see potted shrubs on each side of them and clouds floating above. The images are all nicely detailed with good depth and design. This mold has a groove around its side to help make it easier to lift it off your dough. This mold is #1861 and sells for $34.88. 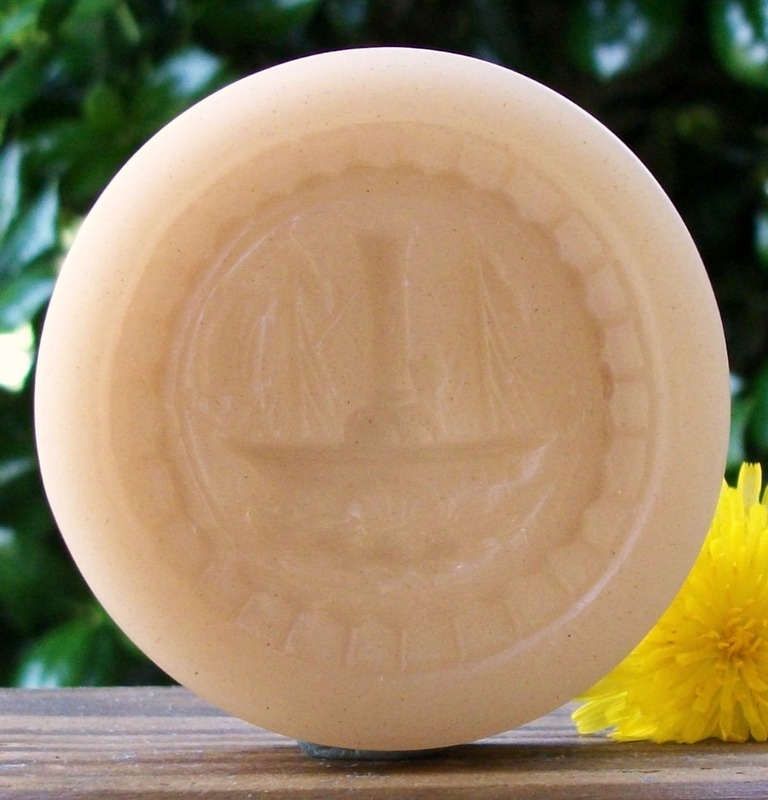 This mold is available in clear or color tinted for an extra $4.36. Cookie made with mold #1861. #1861 Heilbronn Couple on Veranda Mold in Clear. 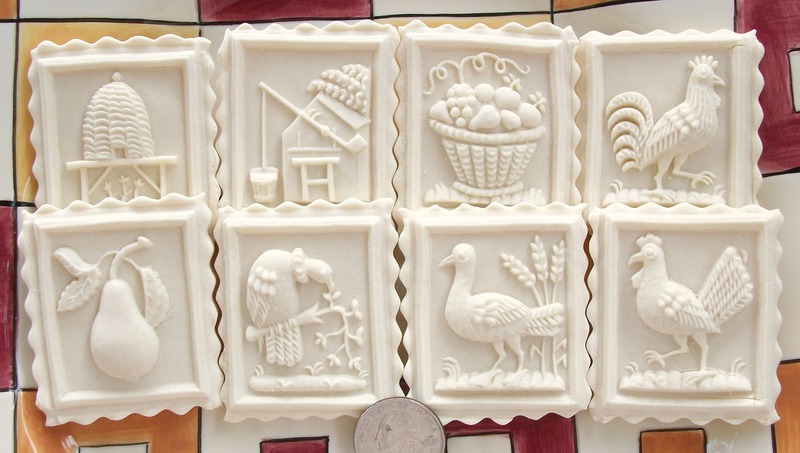 #1774 Künzelsau 10 Image Mold – $71.28. This mold measures about 8 5/8″ x 3 9/16″ and produces 10 individual pictures that measure about 1 1/2″ x 1 9/16″ each. The images are of a dog, chickens, a turkey, birds, flower, acorns, butterfly, a man hiking and a woman working her birds. All of the images have great depth and detail and are so very nicely framed. 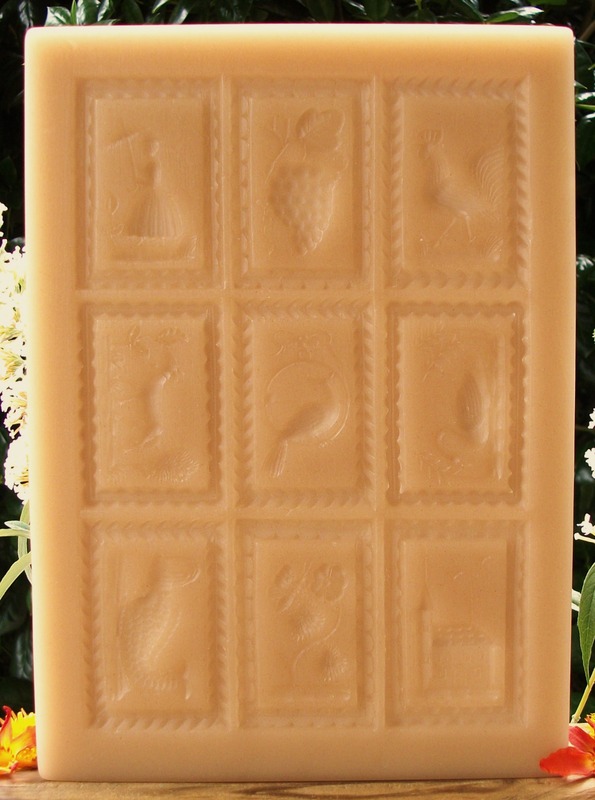 This mold can be used for Springerle, Marzipan and other confections. The original mold hung in a hotel in Baden Württemberg near Künzelsau Germany. I’m told it had belonged to the great great Grandfather of the hotels owner and had been carved in the 18th Century. This mold is #1774 and sells for $71.28. This mold is available in clear or color tinted for an extra $8.90. Cookies made with mold #1774. 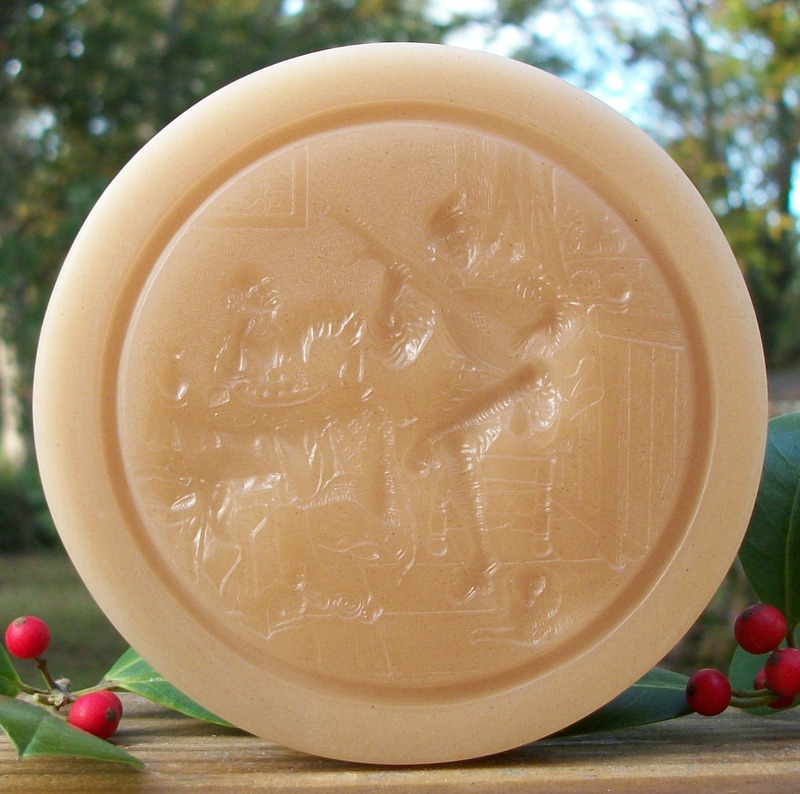 #1759 Zurich Nativity Mold – $122.76. 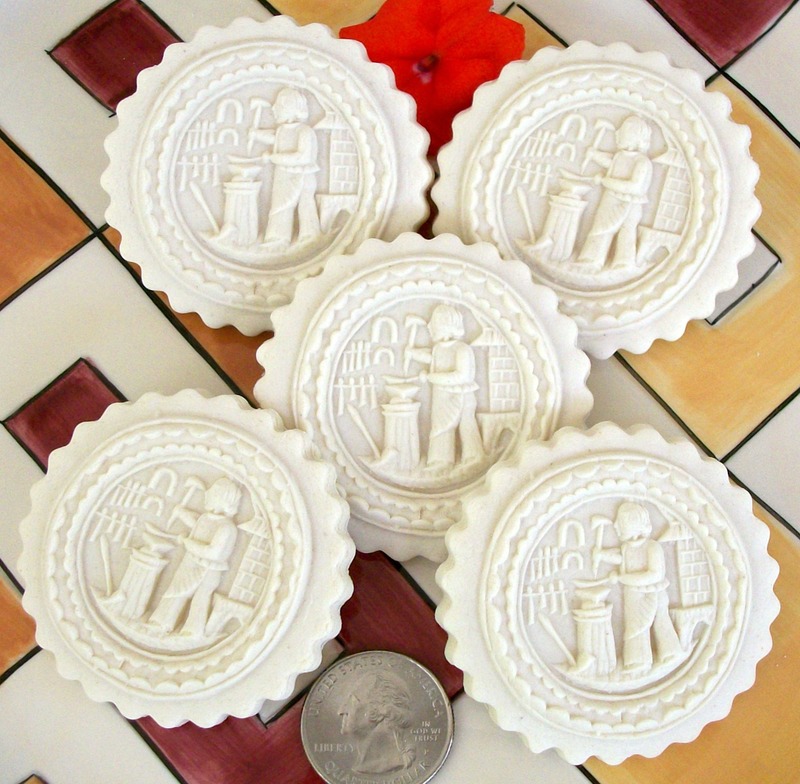 This fine Nativity scene measures about 8 1/8″ in diameter and the images are deep and detailed. 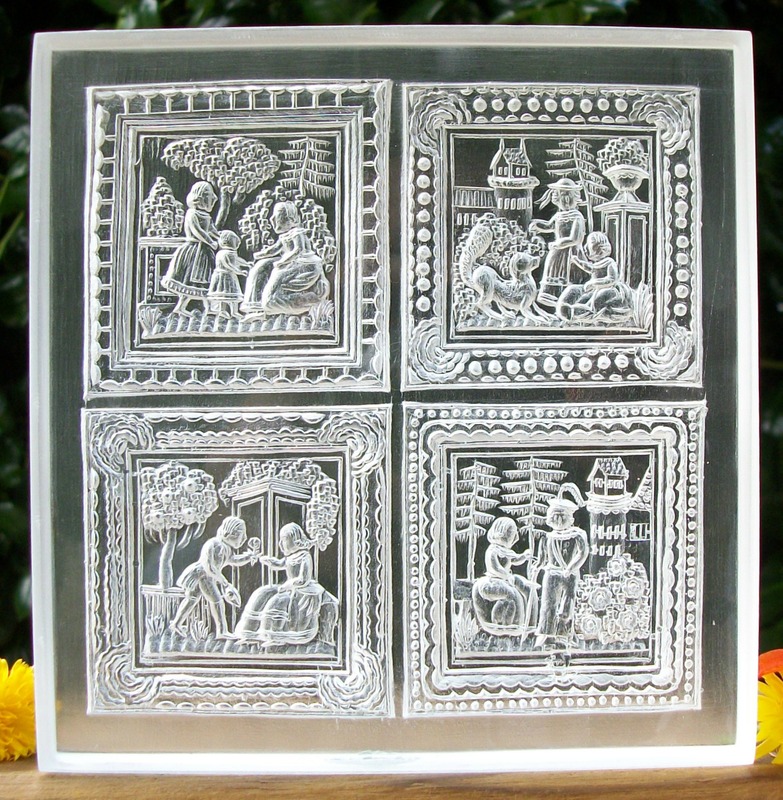 The scene is framed with a round decorative border that lends to the overall appearance and beauty of this mold. The cookie or confection produced by this mold can deliver a very beautiful, deep and detailed scene. In this scene you see the shepherds coming to see the baby Jesus . In the background can be seen shepherds tending their flock. This mold is #1759 and sells for $122.76. 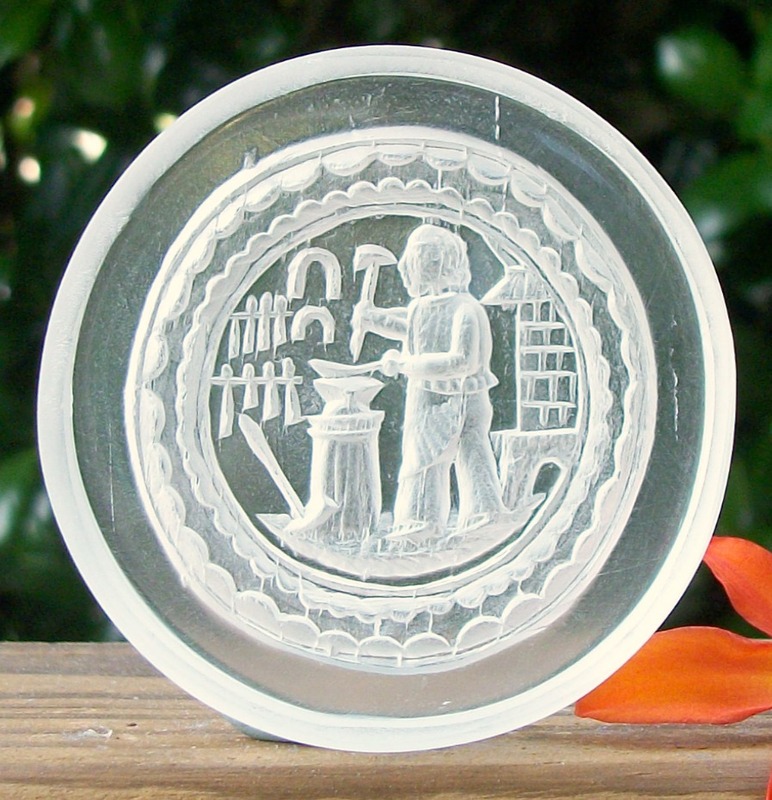 This mold is available in clear or color tinted for an extra $15.35. The original mold was carved between 1790 and 1820 and had been part of a family collection in Zurich Switzerland. It now resides in a private collection in the US. The original mold was damaged so we had our replica restored. It will now deliver the same image as the first user of the original wooden mold would have seen. Honey gingerbread with a milk glaze made with mold #1759. Made by Petrus. 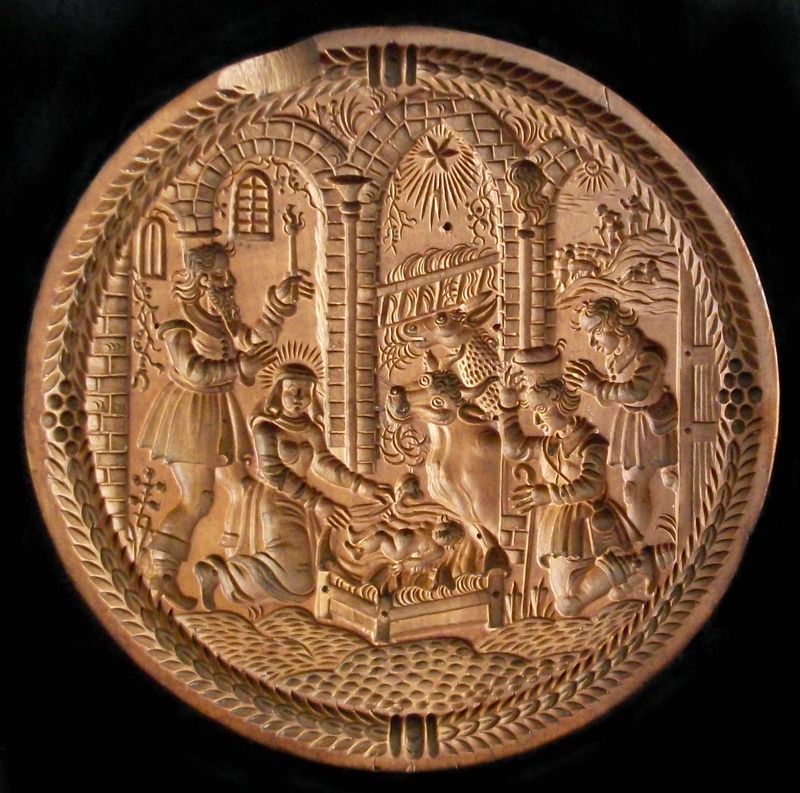 The original wooden Zurich Nativity Mold. 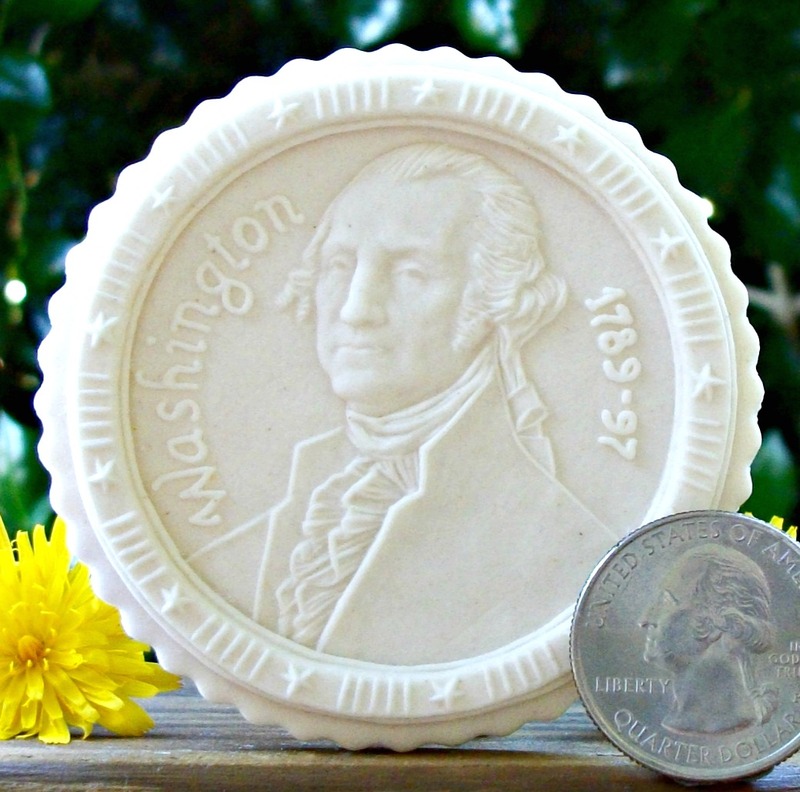 #1877 George Washington Mold – $40.89. This mold measures about 3” in diameter and proudly features George Washington who was known as the Father of our country. His image is ringed by thirteen stars which represent the thirteen original colonies. 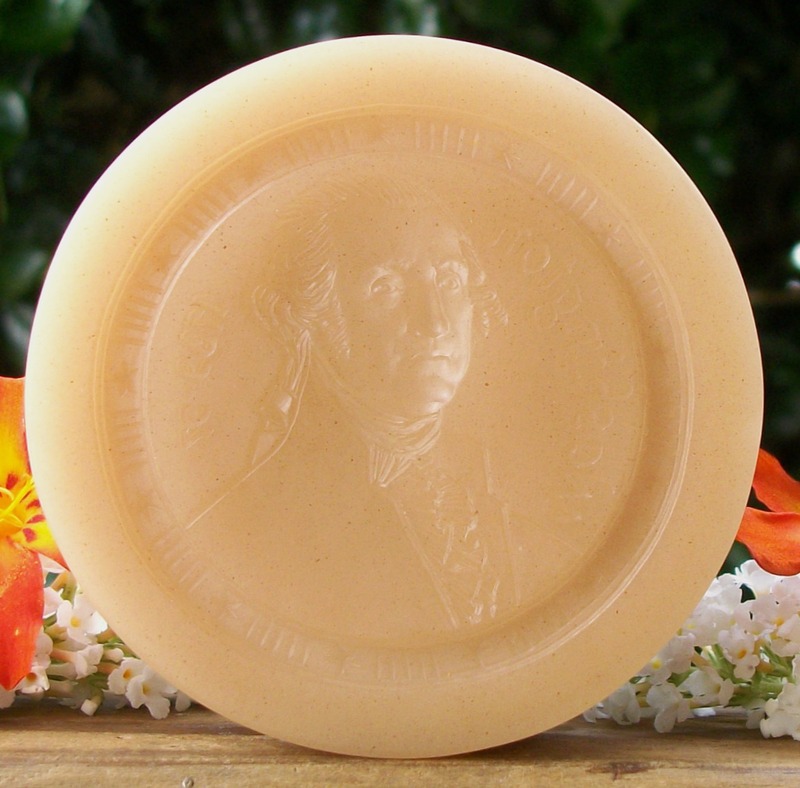 The name “Washington” and the years he served as president are on the mold. The whole image is nicely detailed and the border is raised just enough to serve as a beautiful frame. This mold is #1877 and sells for $40.89. 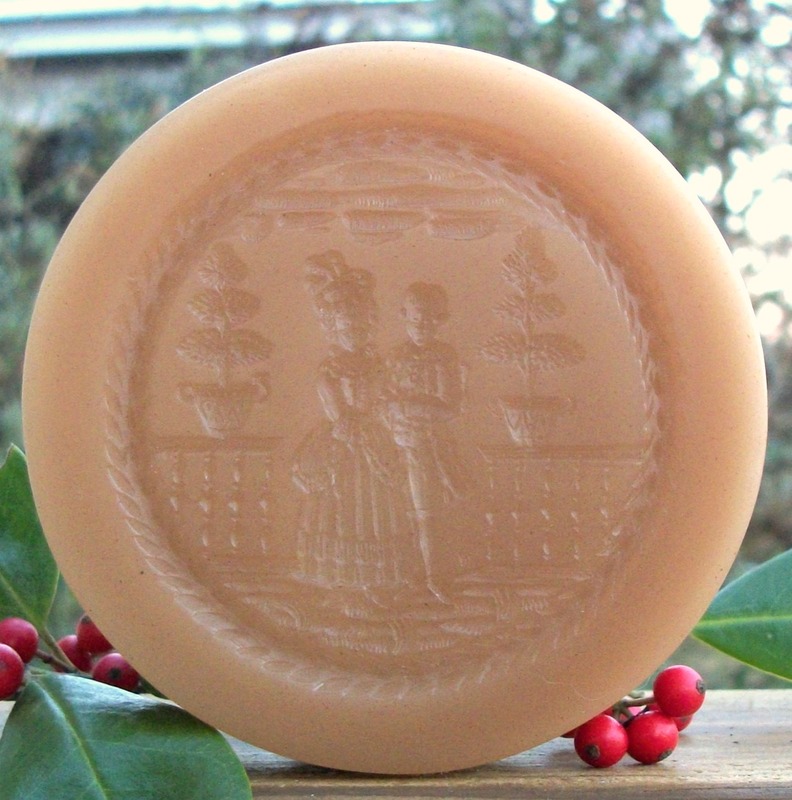 A clear or tinted copy of this mold will cost an extra $5.10. Cookie made with mold #1877. #1877 George Washington Mold in Clear. 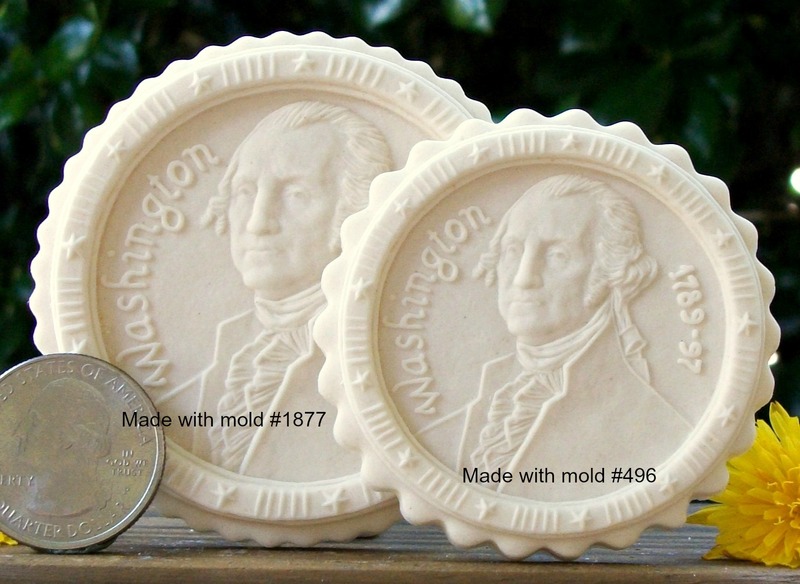 #496 Small George Washington Mold – $31.40. 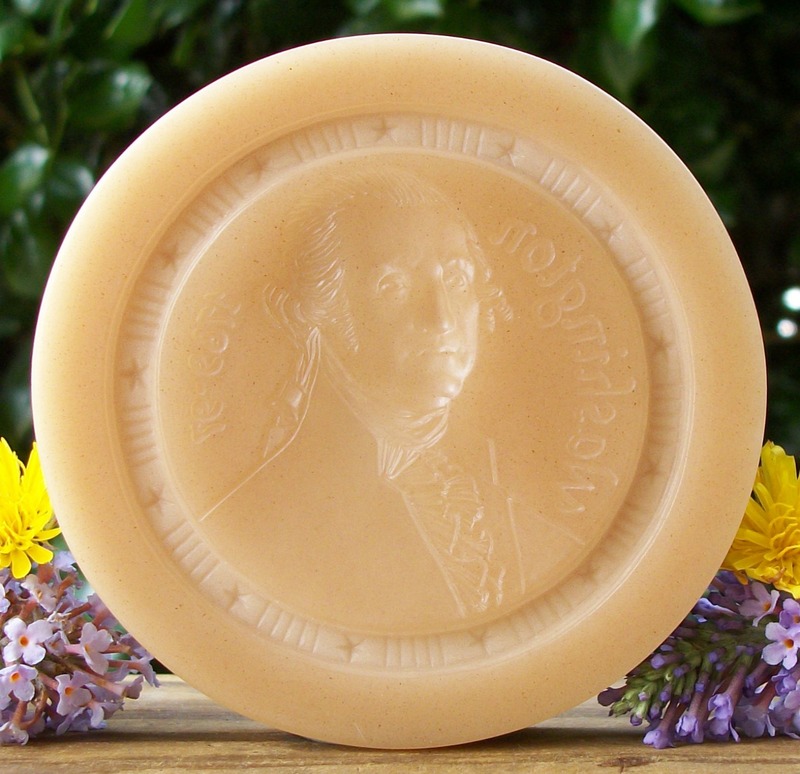 This mold measures about 2 7 /16” in diameter and proudly features George Washington who was known as the Father of our country. His image is ringed by thirteen stars which represent the thirteen original colonies. 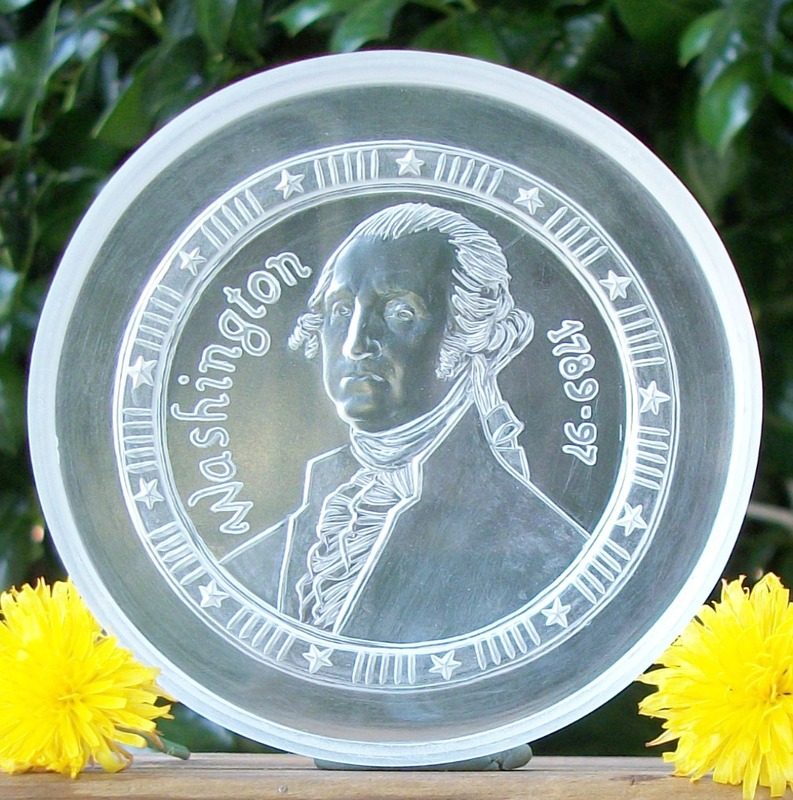 The name “Washington” and the years he served as president are on the mold. The whole image is nicely detailed and the border is raised just enough to serve as a beautiful frame. This mold is #496 and sells for $31.40. A clear or tinted copy of this mold will cost an extra $3.90. Cookie made with mold #496. 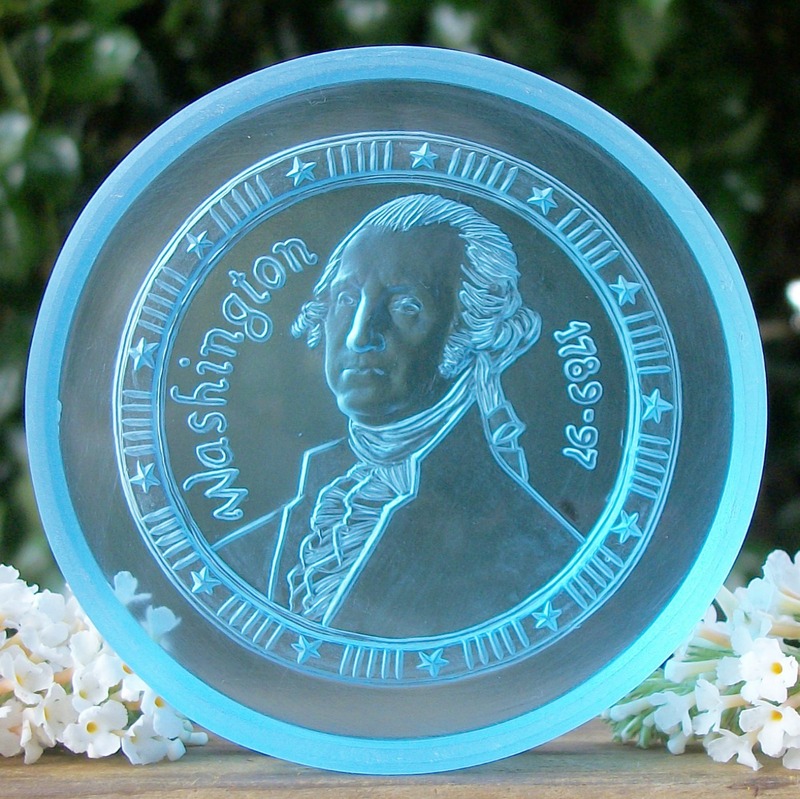 #496 Small George Washington Mold in Clear Blue. For comparison of the two molds above. Cookies made with molds #1877 and #496. #1783 LR Multi Image Board – $84.96. 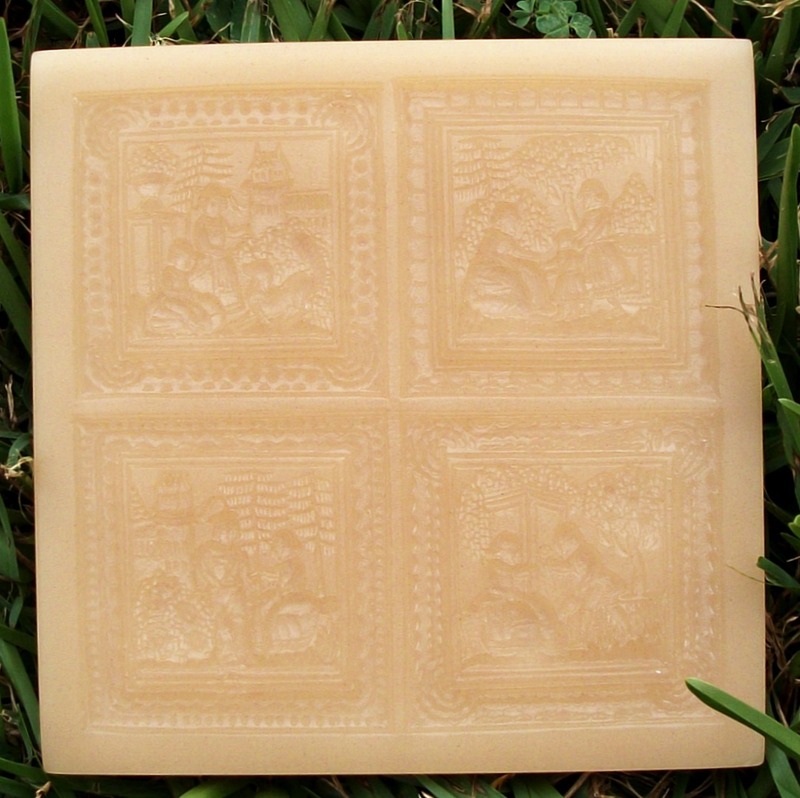 This mold measures about 8 1/2” x 6″ and will print 9 individual images measuring about 2 1/2” x 1 3/4″ each. Each image is individually framed with a nice deep border. All of the images have very good depth, great details and dimensions. Included are a rooster, grapes, a lady strolling, a swan, a bird on its perch, a cow, a church, a flower with a butterfly and a fish or a version of a whale. This mold is #1783 and sells for $84.96. Clear and tinted copies of this mold will cost an extra $10.62. Cookies made with mold #1783. #1783 LR Multi Image Board in Clear. 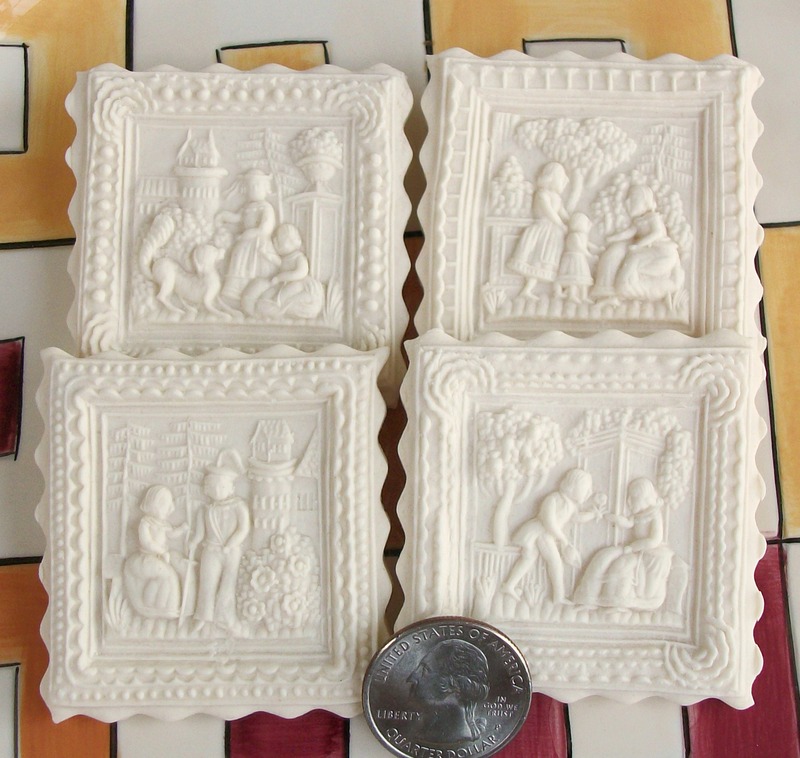 #1875 Four Park Scenes Mold – $58.91. 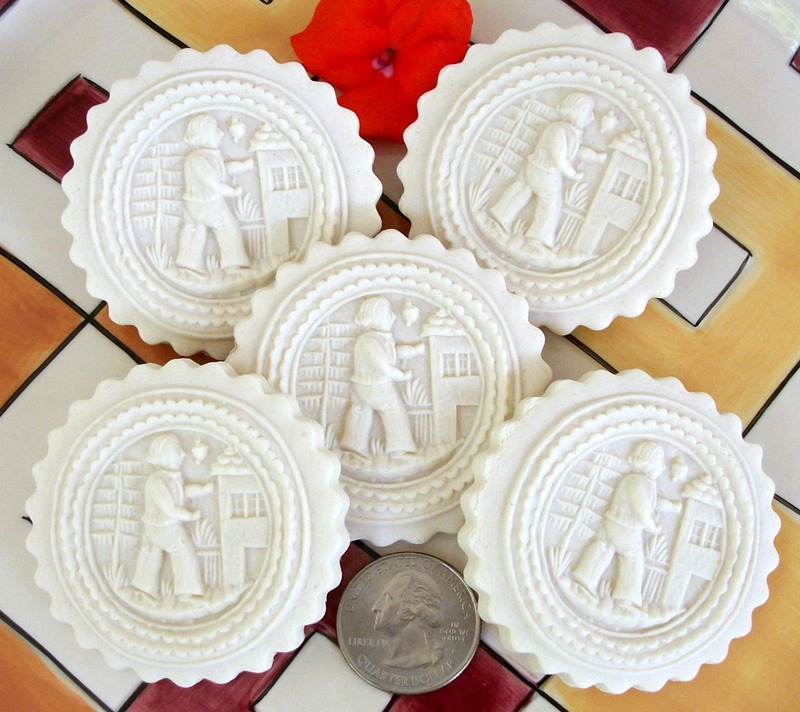 This mold measures about 4 3/4″ x 4 1/2″ and will print 4 individual scenes measuring about 2″ x 2″ each. Two scenes with children playing and two scenes with couples. Each scene has its own very decorative border that enhances the scene it surrounds. Each scene is richly filled with details of great depth and dimensions. This mold is #1875 and sells for $58.91. Clear and tinted copies of this mold will cost an extra $7.36. Clear and color tinted copies of this mold are beautiful works of art as well as functional molds. 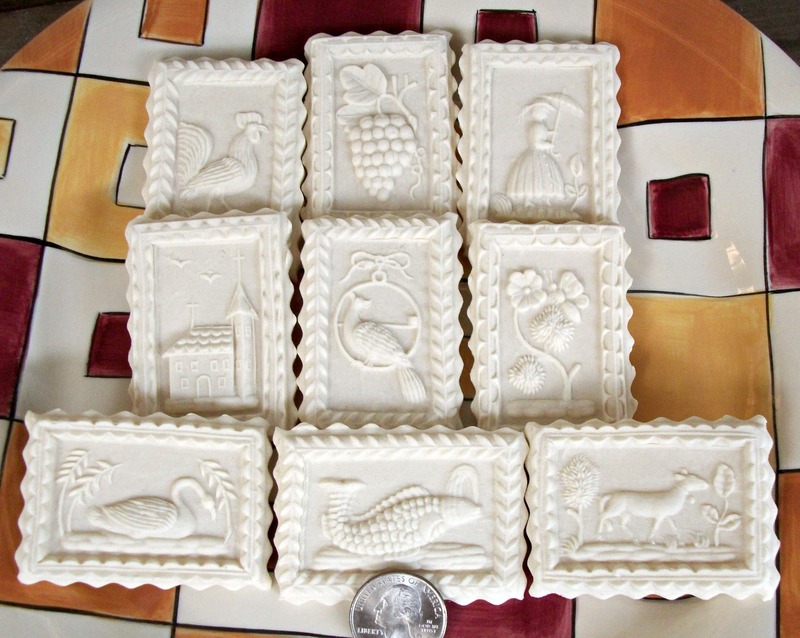 Cookies made with mold #1875. 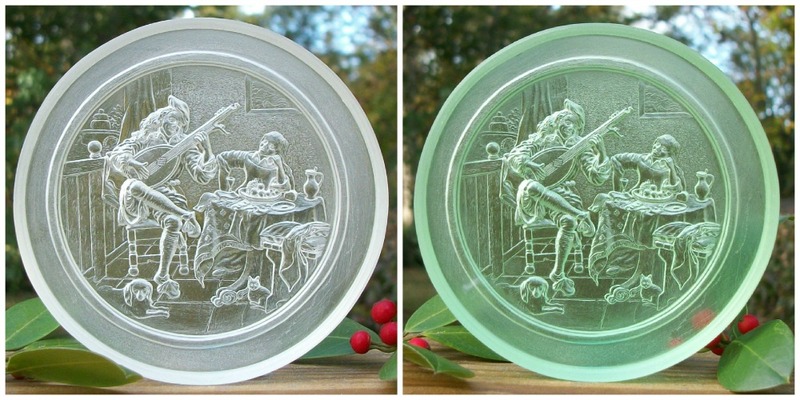 #1875 Four Park Scenes Mold in Clear. #1786 Göppingen Blacksmith Mold – $22.18. 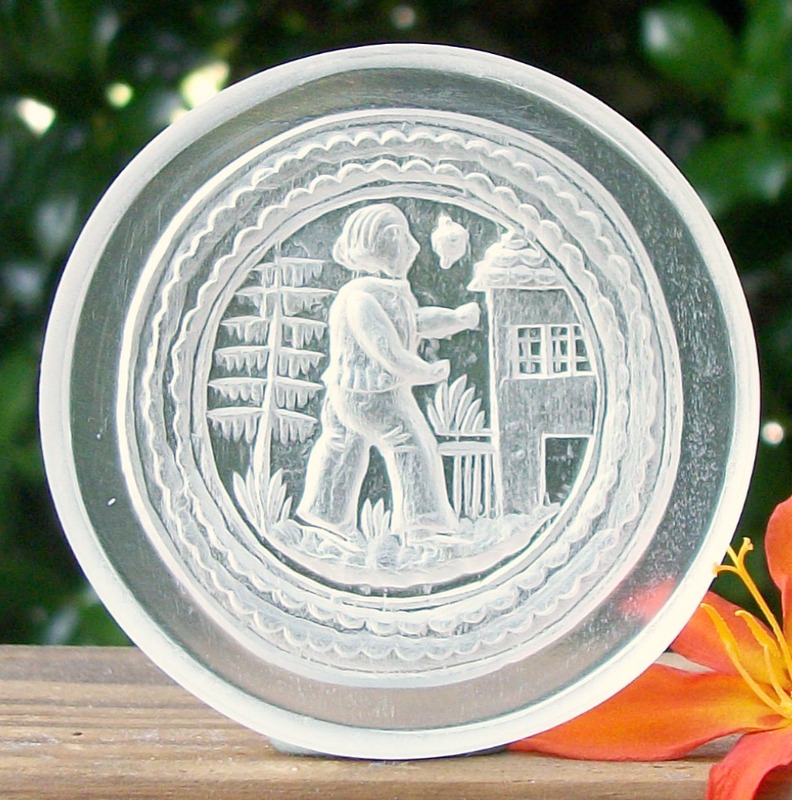 This mold measures about 2 1/4″ in diameter and shows a busy blacksmith. The image is nicely detailed and is surrounded by a very unusual decorative border. The image and border are of good depth and details. There is a groove around the side of the mold to assist with lifting off of your dough after pressing. I’m told that the original mold is from the town of Göppingen in Southern Germany. This mold is #1786 and sells for $22.18. A clear copy of this mold will cost $24.95. 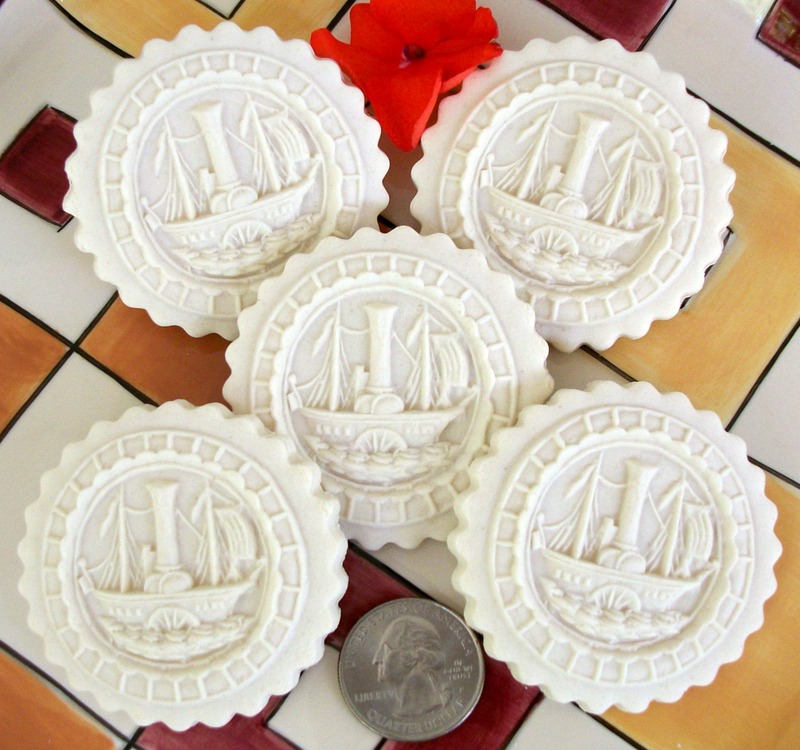 Cookies made with mold #1786. #1787 Göppingen Paddle Boat Mold – $22.18. 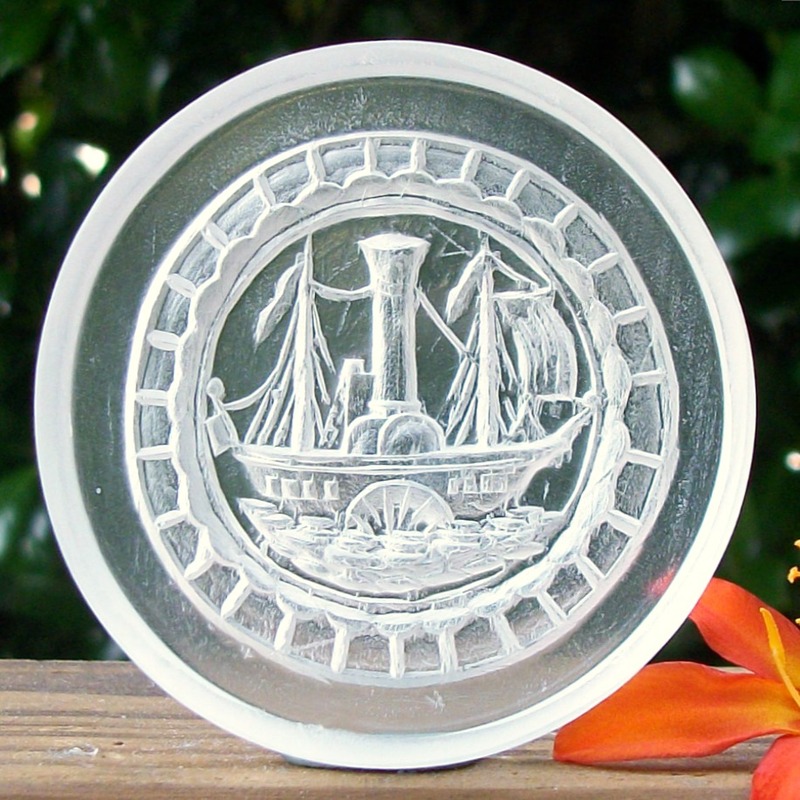 This mold measures about 2 1/4″ in diameter and features a paddle boat. The boat is nicely detailed and is surrounded by a very nice decorative border. The boat and border are of good depth and detail. There is a groove around the side of the mold to assist with lifting off of your dough after pressing. I’m told that the original mold is from the town of Göppingen in Southern Germany. This mold is #1787 and sells for $22.18. A clear copy of this mold will cost $24.95. 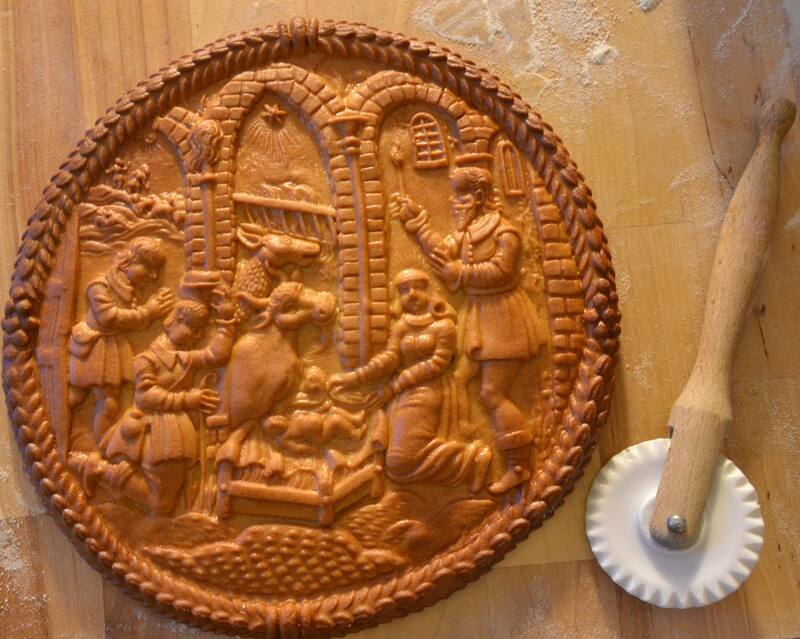 Cookies made with mold #1787. #1787 Göppingen Paddle Boat Mold in Clear. 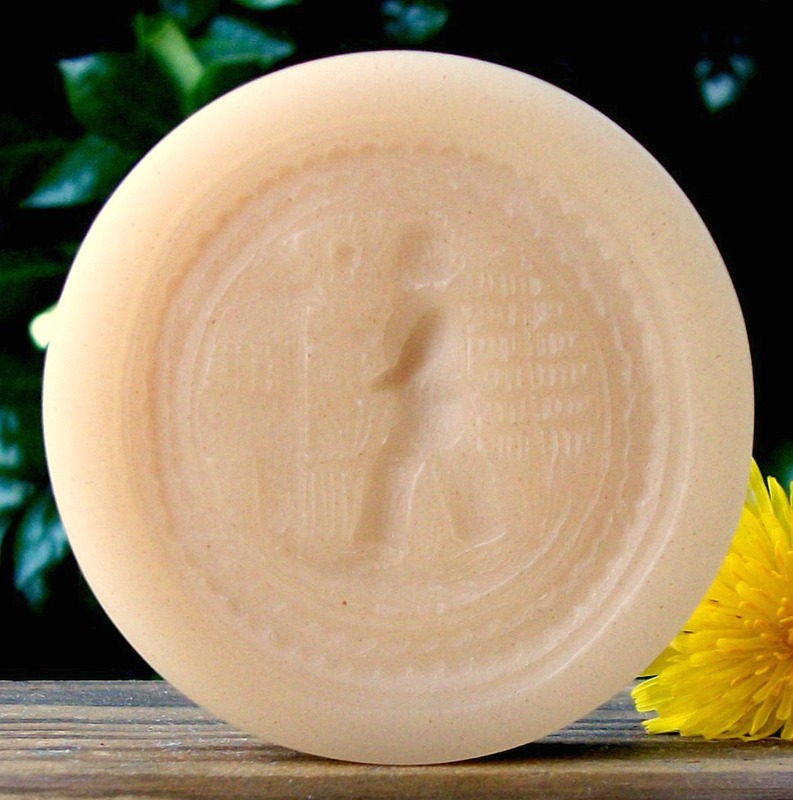 #1788 Göppingen Juggler Mold – $22.18. 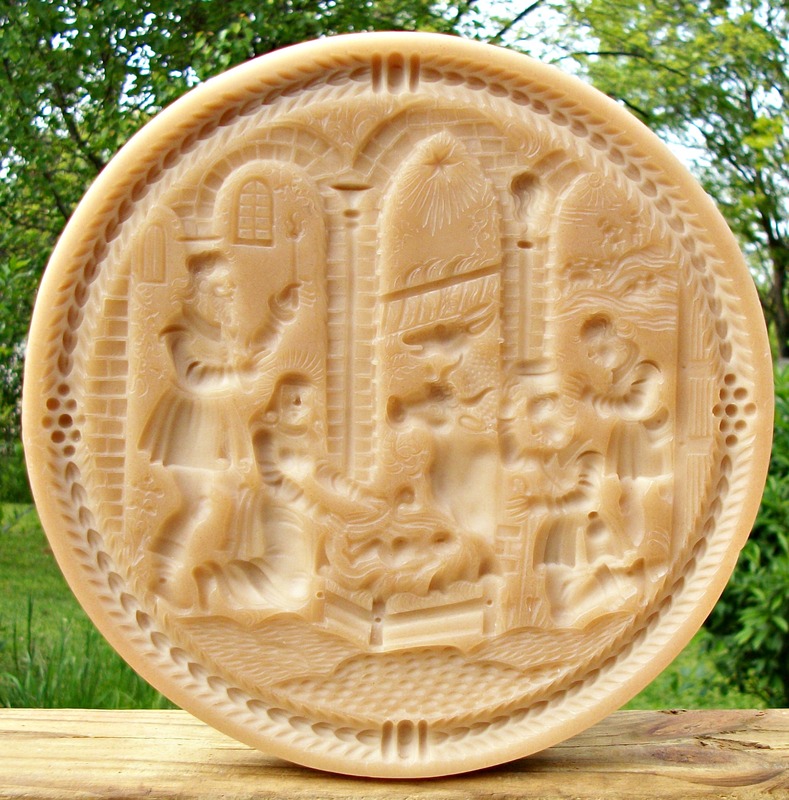 This mold measures about 2 1/4″ in diameter and I believe features a juggler. The image is nicely detailed and is surrounded by a very nice decorative border. The image and border are of good depth and detail. There is a groove around the side of the mold to assist with lifting off of your dough after pressing. I’m told that the original mold is from the town of Göppingen in Southern Germany. This mold is #1788 and sells for $22.18. A clear copy of this mold will cost $24.95. Cookies made with mold #1788. #1788 Göppingen Juggler Mold in Clear. 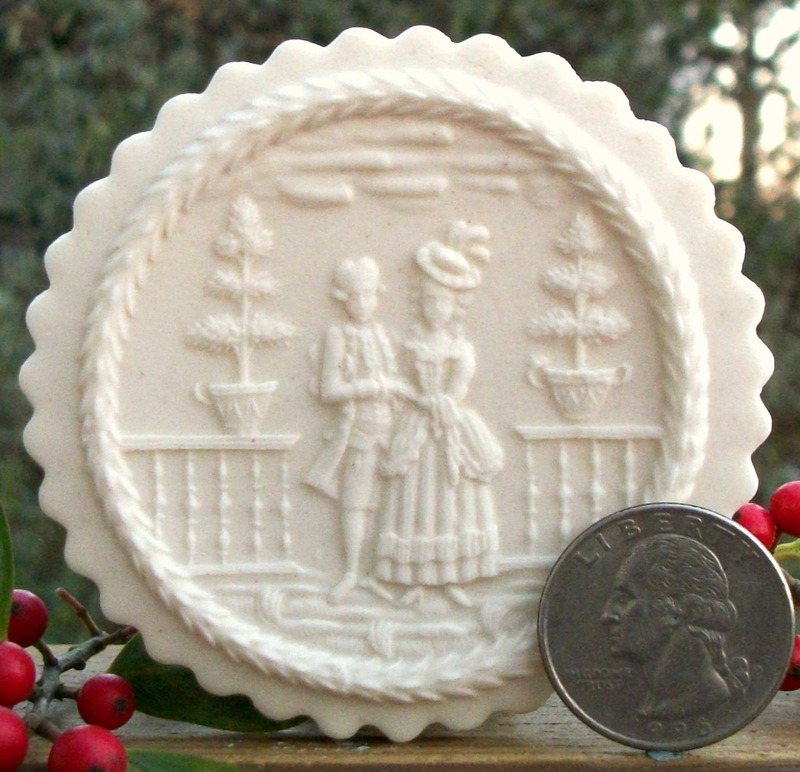 #202 The Romancer Mold – $39.62. 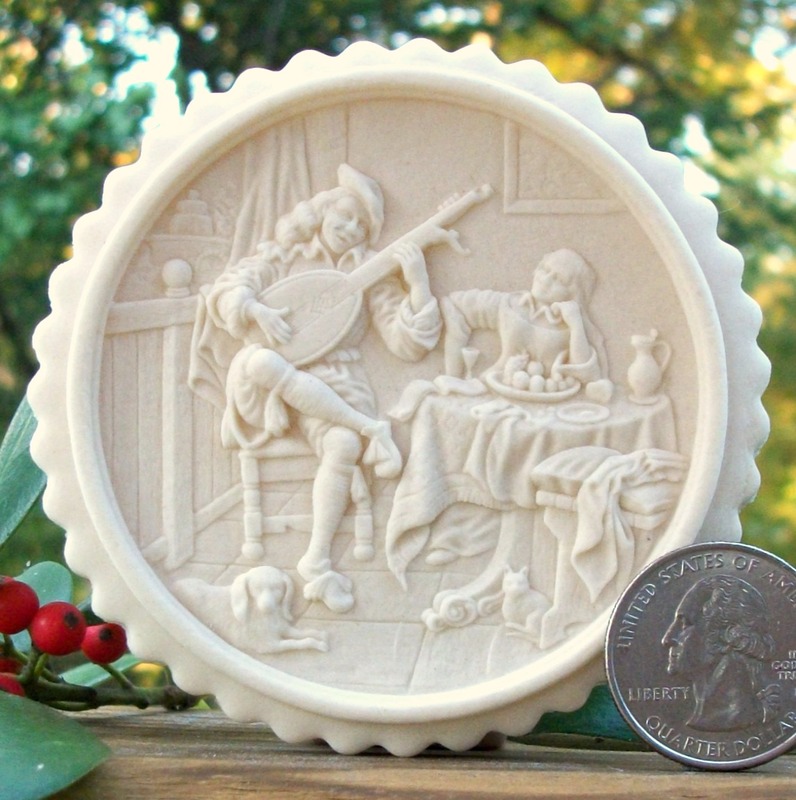 This mold is based on the famous painting, “The Lute Player”, by Hendrik Sorgh in the 1600’s. This mold has a deep border so that when pressed it keeps the look of being a painting. It has a groove around the side to assist in lifting the mold from dough. The mold measures about 3 5/16″ in diameter and will produce a cookie that measures about 2 3/4” in diameter. The cookie is full of depth and dimension and is very detailed with minute images. This mold is Item #202 and sells for $39.62. Clear and tinted copies of this mold will cost an extra $4.96. Cookie made with mold #202. #1793 Bracht Eight Image Mold – $68.13. This mold measures about 8 7/8″ x 4″ and will produce six individual images that measure about 1 15/16″ x 1 9/16″ each. These images are of a Rooster, a Chicken, A Bee Skep, a Bird, A bowl of Fruits, A Pear, a Vulture and a well scene. Each image is Very deep, nicely detailed and dimensional and is framed by a simple line design with good depth. This mold has a groove on its sides to help assist in lifting after pressing. These images really stand up off of the cookie. 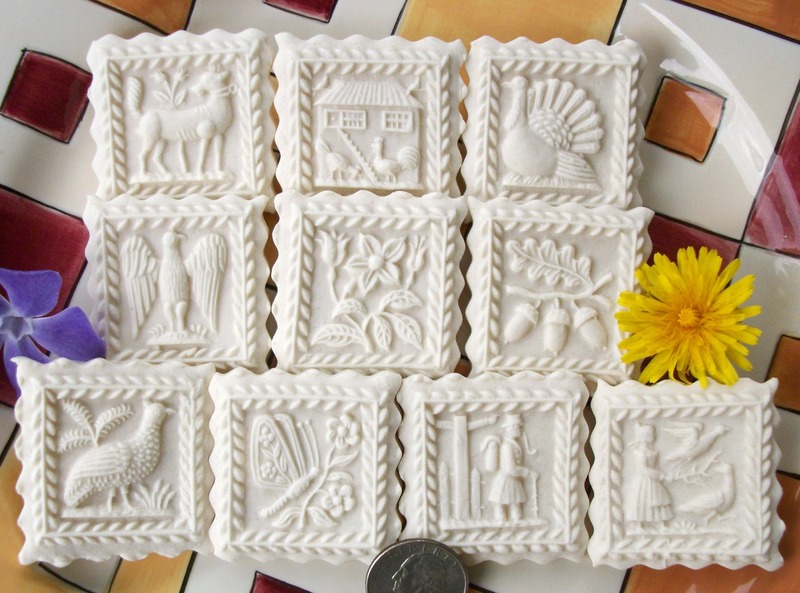 This mold may be used for cookies, Marzipan confections or other confections. This mold is #1793 and sells for $68.13. Clear and tinted copies of this mold will cost an extra $8.52. 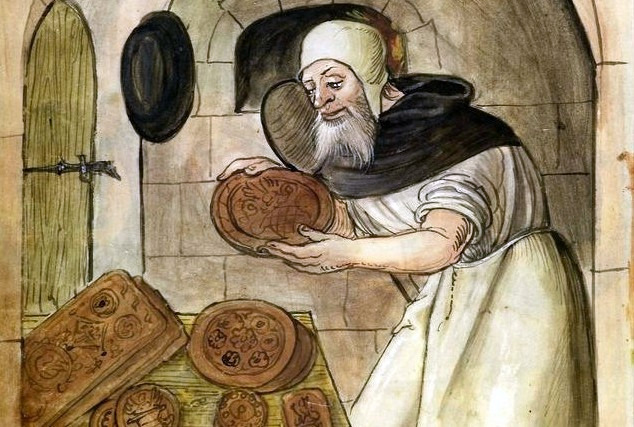 Cookies made with mold #1793. #1793 Bracht Eight Image Mold In Clear.